We’re Celebrating The Success Of Our Young Women! We are so proud of the young women - all survivors - who were the first to benefit from the new Empowerment Program in Kampala, Uganda. 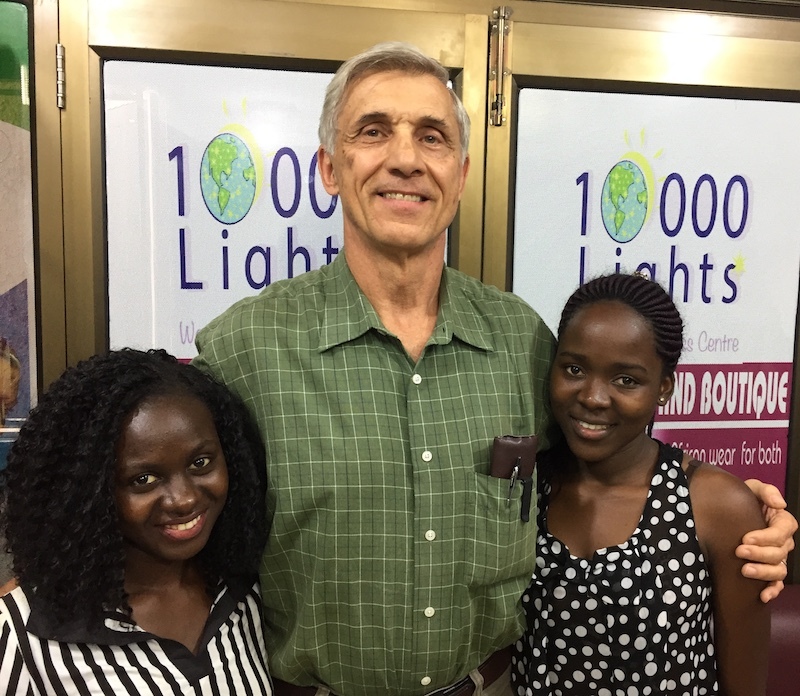 They gained skills through mentoring, training, and vocational training, which enabled them to begin work and take on increasing leadership roles at the program’s social enterprise, "10,000 Lights Women’s Business Centre". Director, Miriam Enyaga writes, ”It's with great pleasure to share with you that the vision and purpose of this project has come to life." Many of the girls are well on their way to self-sustainability. The program has equipped them to qualify for more challenging jobs, either part time, or full-time outside the Centre, and some are also able to attend university. PHOTO: Ester and Annette with Pastor Phil Bauman of The United Church of Christ in Medfield. "We are confident more lives will be impacted," Miriam adds. In fact, we'll soon share with you news of how more girls are entering the Empowerment Program. 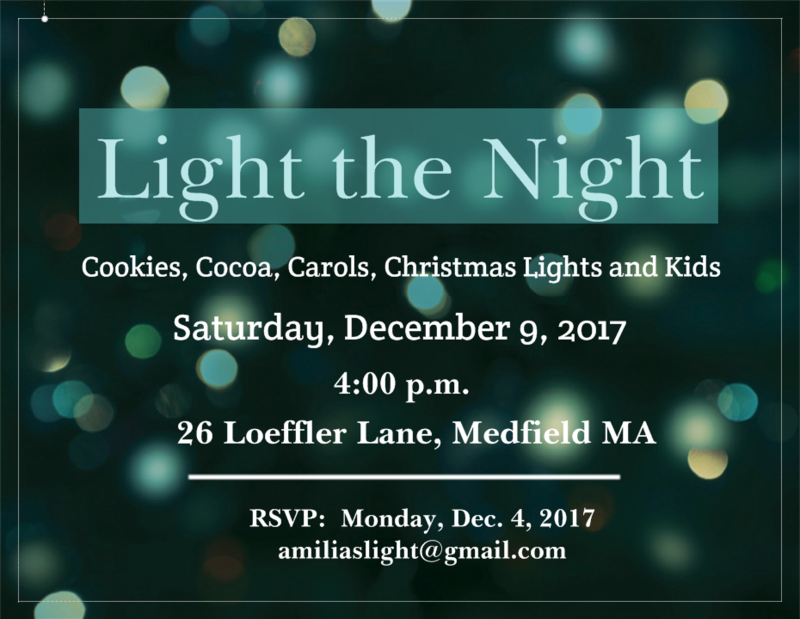 Please join us for our annual Light The Night event on Saturday, December 9.  It's our way of saying "thank you" for being one of Amilia's lights.